BRIGHTON, Mich - It is going to be one busy weekend here in Livingston County! There are tons of 4th of July Celebrations happening all over town and we want to ensure you know about every single one! From parades to firework shows, we have all the information you need to have the best Fourth of July weekend ever! Brighton Sunrise Rotary Fourth of July Parade and Activities: The Brighton Independence Day Parade will take place at 10 AM in downtown Brighton. The parade travels west on Main Street to 7th Street, south on 7th Street and ends at Brighton High School. Great Duck Race: At 11:30 AM, the Livingston Sunrise Rotary Club will be dumping 5,000 plastic ducks into the Mill Pond for the "Great Duck Race" and raffle. Cost is $5 to race a single duck, $20 for five ducks, $50 for a flock of 13 ducks. Tickets available at the parade or call (810) 360-1118. Hungry Duck Run hosted by the Sunrise Rotary Club: A 13.1-mile half-marathon, which begins at 7 a.m., and a 5K (3.1-mile) run/walk at 7:15 a.m. on St. Paul Street in downtown Brighton. Participants must be in the registration or packet-pickup lines before 6:30 a.m. Late registration is $50 for the half-marathon or $30 for the 5K. Shuttle service is available from Brighton High School, 7878 Brighton Road. A Duckling Dash for ages 10 and younger begins at 9:30 a.m. on Main Street by the Mill Pond. Visit www.hungryduckrun.com for more details. Cohoctah Township 4th of July Parade: Starting at 11 AM, the "so nice you see it twice" parade begins at Oak Grove Road to Stelzer Road and then to the main intersection in Cohoctah. After the parade, a pig roast will begin at Calvary Bible Church at 1389 Elm Street with arts-and-crafts for sale, face painting, a petting zoo, a live DJ, contests, prizes and much more! Fowlerville Fourth of July Parade and Activities: The Fourth of July parade begins at 7 PM at Veterans Drive on the west side of the village and travels east along Grand River Avenue through the village to St. Agnes Church. From 7 PM to 10:15 PM enjoy live entertainment at Fowlerville Community Park, immediately followed by the Fowlerville fireworks show! 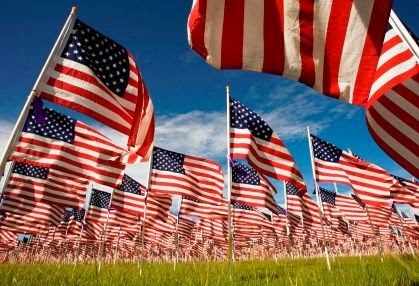 Whitmore Lake Fourth of July Celebration: The Whitmore Lake Salutes America Independence Parade begins at 10 AM on Main Street. The Kiwanis Club will also be hosting their annual chicken barbecue at 10 AM at the old Township Hall at 75 Barker Road. The Whitmore Lake Fireworks show begins at dusk and can be viewed across the street from the Post Office and on Whitmore Lake. Gregory Parade and Fireworks: The annual 4th of July Parade will begin at noon on M-106, followed by an entire day filled with family fun activities and a firework show at the Gregory Softball Diamond located on 121 Main Street. Regardless of where or how you celebrate, we hope all of you have a safe and fun-filled Fourth of July! Don't forget to take advantage of our Pre-4th of July Used Car Blowout Sale going on right now through July 3rd! Brighton Ford will be closed on Friday the 4th through Sunday the 6th for the holiday. Brighton Ford is located at 8240 Grand River Ave. just north of I-96 in Brighton. We are a family owned and operated business that strives for customer satisfaction. For more information on Brighton Ford visit BrightonFord.com or give us a call at (800) 836-8206.